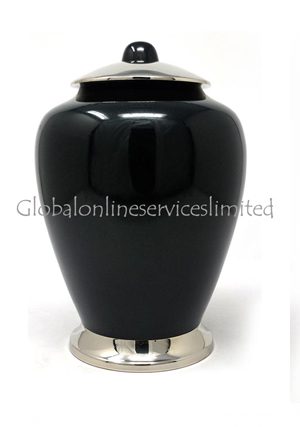 Large emperor colour adult funeral human ashes urn is made of solid brass, moulded well into ancient Chinese vase. 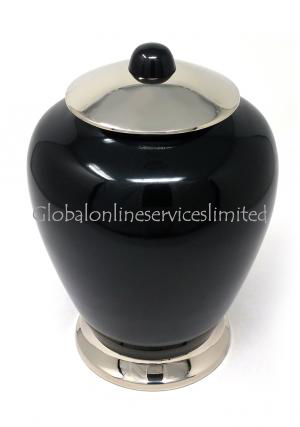 The beautiful large adult urn is well finished with great presence of emperor enamel. 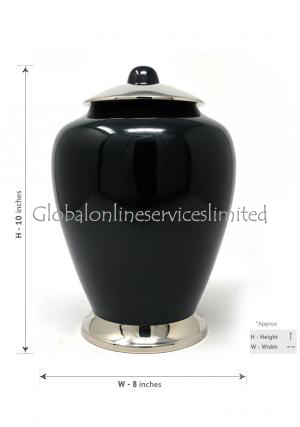 The memorial emperor colour adult urn illuminates the area and brings happiness in leaving close to loved ones even after demise with memories in the urn. 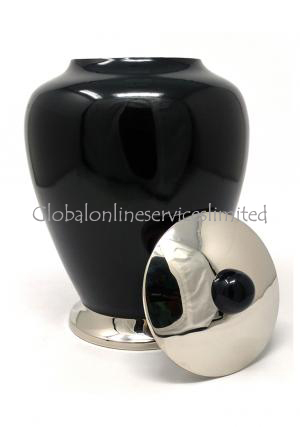 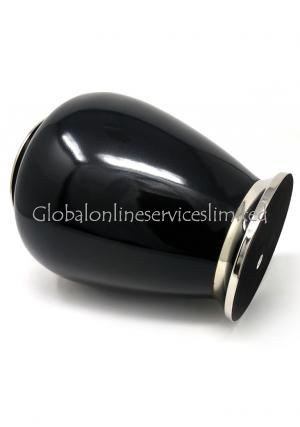 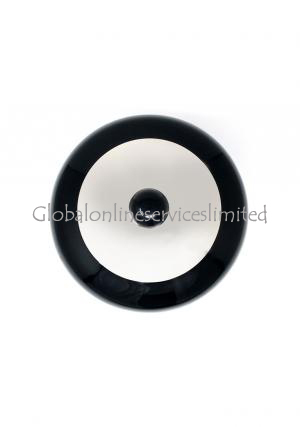 Adult urn capacity: 200 cubic inches, weight: 3.37Kg; dimensions (inches): height: 10", free standard delivery in UK or selected expedite shipping!